The winning run for Panama. 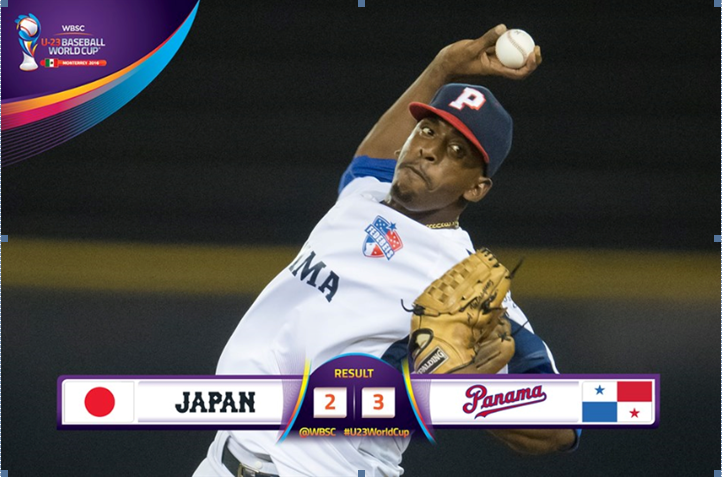 Panama inflicted Japan's first defeat of the World Baseball Softball Confederation (WBSC) Under-23 Baseball World Cup with a 3-2 success in the second stage of super round matches in the Mexican city of Monterrey. Japan opened the scoring with two runs in the second innings, which included a Koki Yamashita solo home run. Jean Carlo Rodriguez Diaz then hit a home run of his own to cut the deficit in the third innings, before also scoring a single in the fifth to level the score. 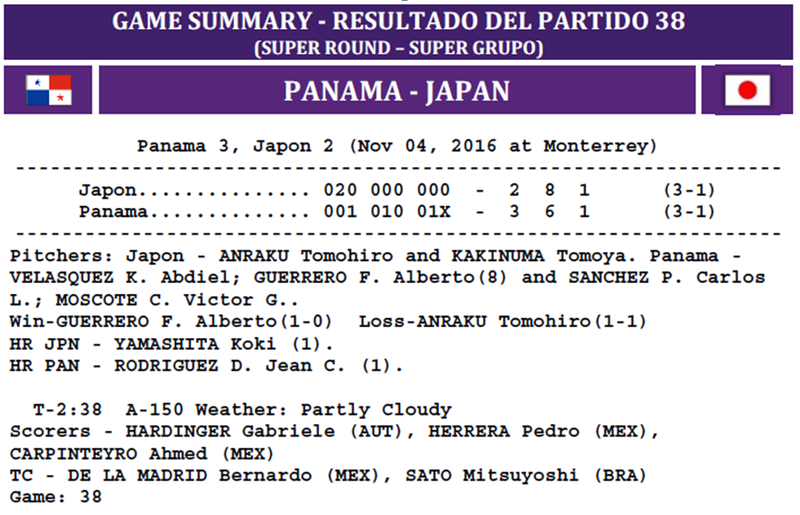 Carlos Alfredo Mosquera Ayala then produced another single in the eighth innings to nudge Panama ahead, who managed to hold onto the lead to record a memorable win over the top ranked side in the world.